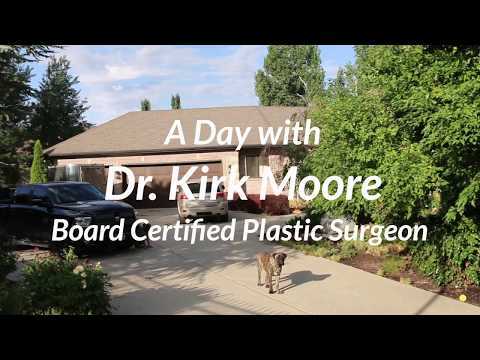 Dr. Moore has a passion for plastic surgery. He has dedicated himself to perfecting the breast augmentation procedure so that his patients can have the quickest possible recovery, while receiving the best possible results. Dr. Kirk Moore: Hi, I'm Dr. Kirk Moore with Just the Right Curves. I think what sets us apart is our rapid recovery breast augmentation. It's been a passion of mine to perfect the technique as much as possible, and I think that with your expectations and my surgical technique, with a different anesthetic that's provided during surgery, and then your recovery exercises, we've been able to achieve that. Brenda: I love working here with Dr. Moore and seeing our patients as they come in for their followup appointments, and to see how pleasantly surprised that they're feeling the day after surgery. Most of our patients are back to work the next day and are feeling fantastic, and are quite surprised themselves at how well they feel... And so pleased with their results. Allie: Dr. Moore's awesome, he's an incredible surgeon. I would recommend him to every single person. I've talked to random people about him, I've talked to my friends about him. Everything that I've dealt with with Dr. Moore has been perfect, and I'm very thrilled with the results. Brenda: When you're in the OR with him and you feel his energy and his passion for the work that he does, it's indescribable to see that, and to see the perfection that he displays as he's performing his surgeries.